Your credit score is too important to ignore. Learn the three common mistakes to avoid when disputing credit issues. It is essential to routinely request your complete credit report to check for errors and submit corrections. 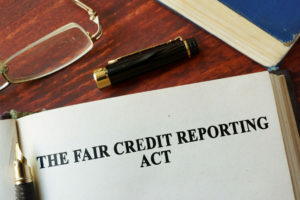 This is because some of these credit report errors can greatly affect your eligibility for loans as well as restricting your housing options. The Fair Credit Reporting Act (FCRA) gives you the right to address potential problems that arise from errors on your credit report. You need to dispute credit issues correctly by addressing these problems in the right way. If you discover there is an error with your credit report do not rush to talk to the lender first. Addressing your problems directly with the source of your loan can nullify your right to dispute the problem with the credit bureau. To ensure you have a legal recourse, always start with the credit bureau. Before you think of calling up the credit bureau to complain, ensure you put all the disputes in writing. You need to have a record of exchange so the first step is to write a dispute letter to the credit bureau, alerting them of the errors you’ve detected. The bureau will investigate the issue and give you a written response within 30 days. Some companies will try to intimidate you by claiming disputing issues in your credit report will hurt your credit. Do not be intimidated- disputing your credit report alone won’t hurt your credit. However, disputes can have an impact on your score. For example, if your credit report dispute affects your credit usage, your score may go down. But disputing some on your credit report that aims to eliminate supposedly unpaid debt will ultimately help your score.